McGuire is a stunning young stallion and is taking everything in his stride. 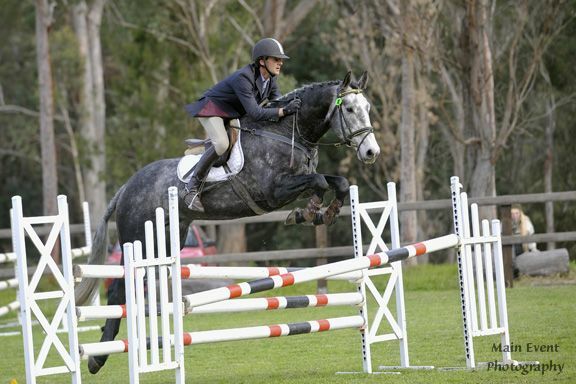 He is a real head turner and has received glowing comments from some of Australia’s top level riders. He has super movement, regularly scoring 8’s for his paces. After placing consistently at Prelim level McGuire finished the season as a 4 year old with two Pre Novice runs where he really started to show off his scope and ability to make bigger fences feel like cross rails. 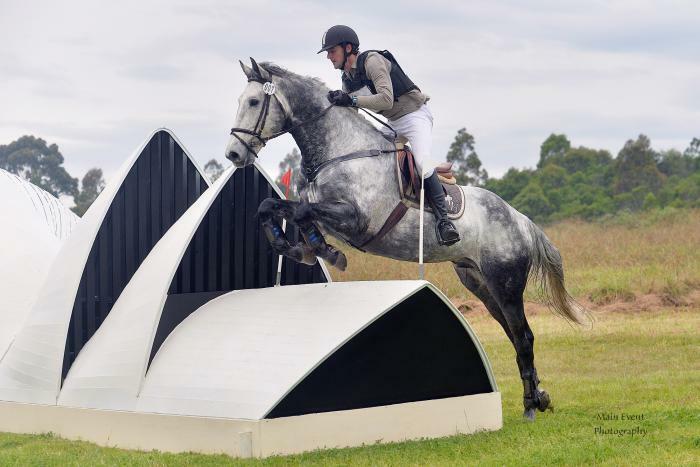 McGuire is a very well put together Irish Sport Horse by the talented Conqueror King RID who is fast proving himself to be the premier Irish draught Stallion in Australia. McGuire shows the bone and muscle of the Irish Breed with a temperament to match. His performance pedigree is underlined by the success of his dam side. The Zephyr line has produced many star performers including Highland Inspiration (3* eventer), Enchanted (4*) plus many others. 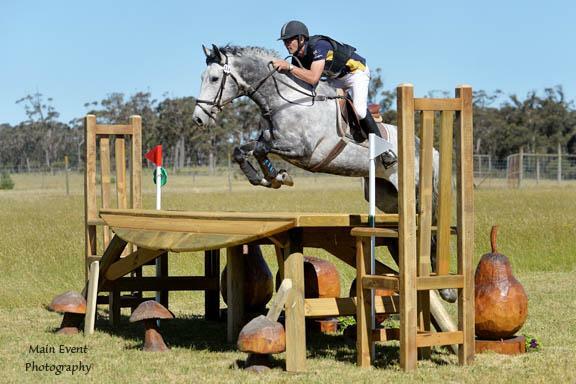 McGuire started his competition career in the second half of 2009 and placed 3rd at SEIC at his first outing and finished the year with a second at the NSW state championships at Goulburn in the Prelim. He has now gone to 2* as a 10 year old and all being well will have some 3* runs towards the end of 2015. Sam Lyle recently commented after teaching one of McGuire's offspring that everyone should be breeding to McGuire as they are talented and easy to train and ride. If you want to breed an International Eventer, a horse with talent, a trainable temperament and a horse with proven International bloodlines the ISH is the way to go.